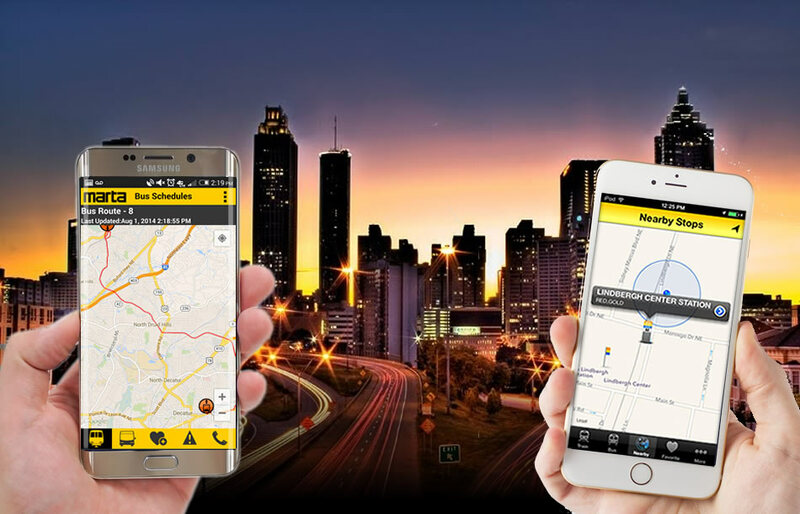 MARTA On the Go puts the entire MARTA transit system in the palm of your hand, giving you access to real-time bus and rail schedules and the latest MARTA system updates. MARTA On the Go is available for iOS and Android devices. You can download it for free from either the App Store and Google Play below.